Double Glazing in Cranleigh has never been so affordable thanks to Victory Windows and our affordable and straight forward approach to all aspects of Double Glazing in Cranleigh. Get the best quality uPVC replacement Windows, Doors and Conservatories by contacting Victory Windows today by email, telephone or by getting an estimate from our Double Glazing Quoter. Having installed Double Glazing in Cranleigh for such a long time we understand the problems that you sometimes may have when it comes to upgrading your home. Customers from Cranleigh and the surrounding areas tell us all the time that they are often overpriced and have the pain of the Double Glazing Salesman who wants to stay in your home for long periods of time! Victory Windows are proud of our No-Pressure Sales Policy which means that all of our appointments are sat by the owner of the company who will be in your home for around 20/25minutes. Victory Windows stand for good, honest Double Glazing whether in Cranleigh or further afield, a friendly customer service and expert advice. As a smaller independent company we rely on recommendations and word-of-mouth, meaning that we care about our customers and ensuring that you, like so many of our previous customers, would recommend Victory Windows to your friends and family. Victory Windows are proud to only stock A-rated products, ensuring that we’re keeping homes in Surrey and Hampshire home for years to come with a brilliant uPVC profile that can’t be beaten in terms of thermal and security purposes. Chic and stylish, our ranges of uPVC profiles are pleasing on the eye whilst practical at the same time. All aspects of our uPVC Windows and Doors can be customised to your preferences. Add Georgian or Astragal Bars and Monkey Tail Handles for an authentic looking finish. By choosing decorative or patterned glass you can set your home apart from all of your neighbours in Cranleigh. 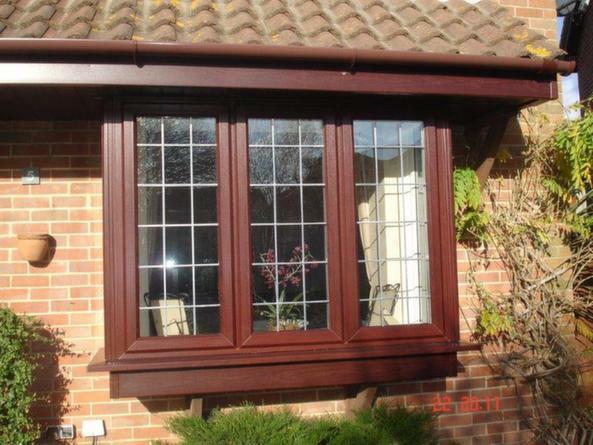 Even our uPVC profile is available in several different colour options including White, Woodgrain and Irish Oak. All of our Double Glazing in Cranleigh comes with a 10 year insurance backed guarantee so you’ve got peace of mind. Our uPVC profiles are British fabricated and manufactured in Britain and is designed to withstand not only the test of time, but more importantly they are designed to withstand the often volatile British weather. Victory Windows do not require you to pay a deposit, meaning that there’s no risk involved. You can even get a price for Double Glazing in Cranleigh by using our Double Glazing Quoter.